I impulsively purchased a bag of cranberries only to realise later that I had no plans to make anything out of it. When I came back home and tried to eat them raw, the taste was too tarty for the palate and I just couldn’t eat them. Tensed about the future of these fancy red rubies, I could not find a solution. I just stored them in the fridge. For almost a week. Unsure of what lay ahead of me. Eventually after a week’s time, I found confidence in venturing into the unchartered territory. Decided to make something out of it. I had a packet of Dates lying around in the pantry from long that also needed to be put to use soon. 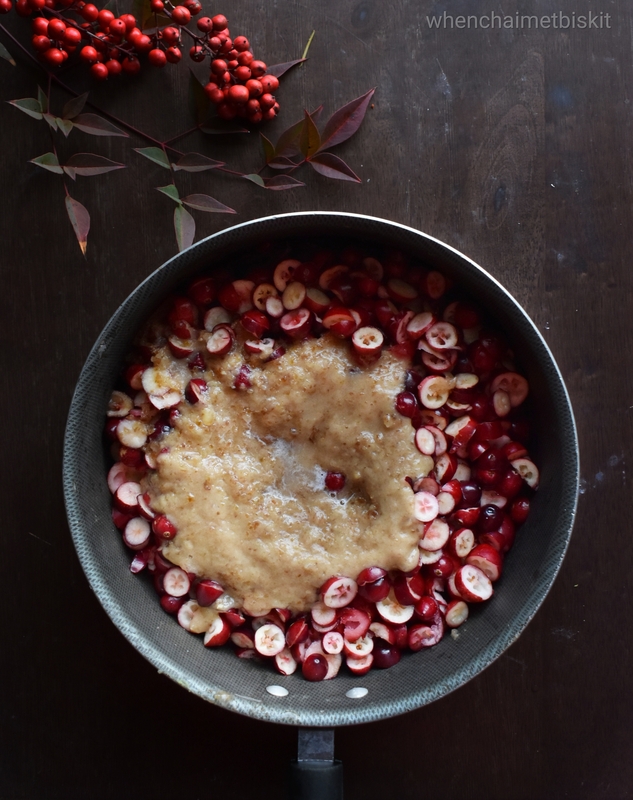 And then came this humble idea of making Cranberry-date jam. Yayy! Add cinnamon and nutmeg powder and cook for 10 mins and we’re good to go! 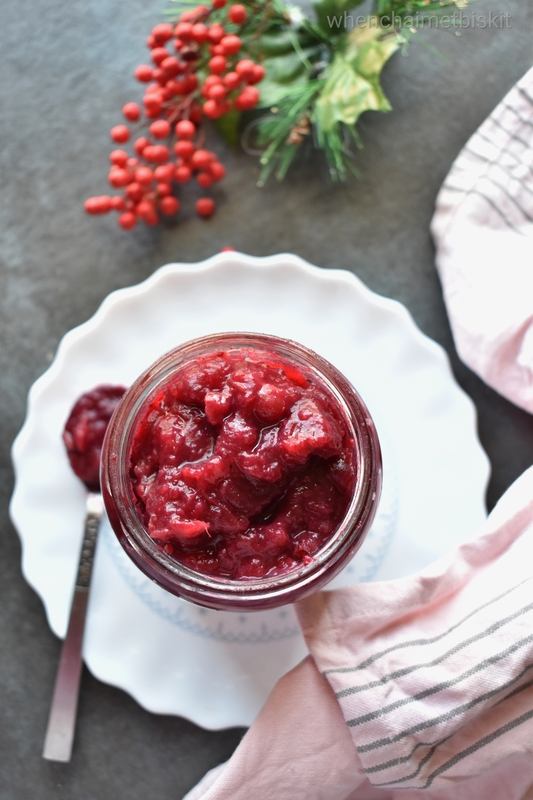 Cranberry-date jam is the best version of cranberry jam that is refined sugar free and very easy to make. 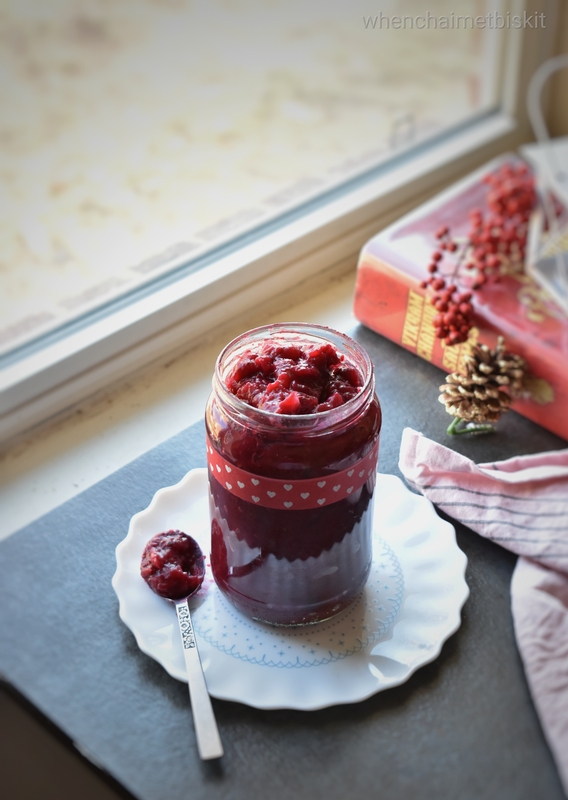 Quick and tasty jam can be paired with bread, crackers or also a humble oatmeal. 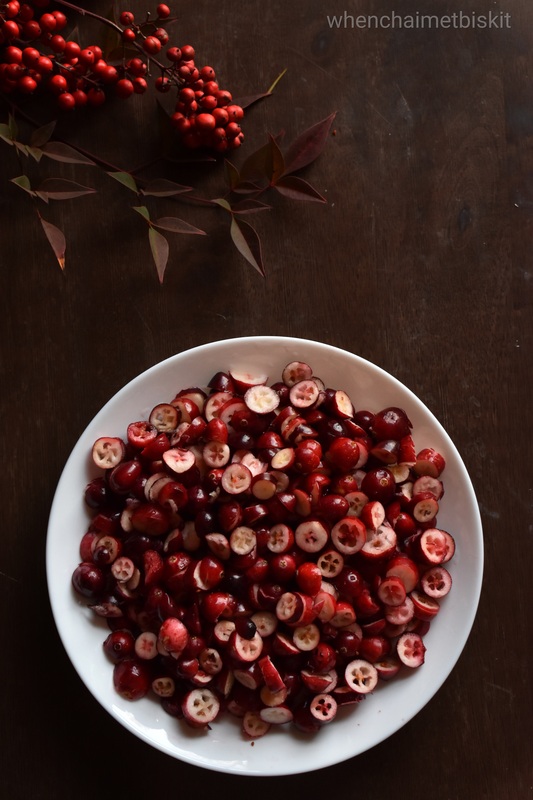 Wash the pitted cranberries to remove any seeds left. In a bowl, add dates and ½ cup of hot water . Let the dates soak for 15 mins. After 15 mins, grind these dates to a fine paste. 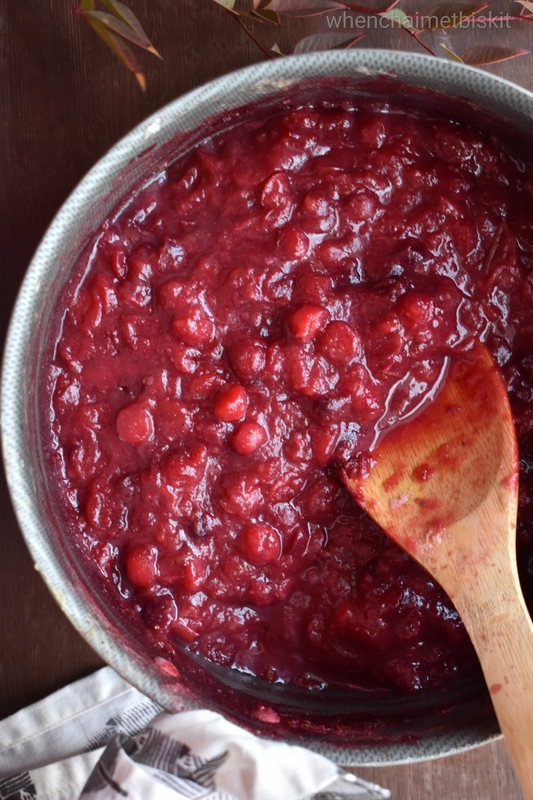 Heat a sauce pan on low flame and add the pitted cranberries along with ½ cup of water. Let the cranberries cook on medium flame for 5 mins. Once the cranberries turn mushy, add the date paste and let it simmer for 5 mins. Add the cinnamon and nutmeg powder and mix everything together. Cook for 5-7 mins or until the mixture thickens, and turn off the flame. Let the cranberry sauce cool down, then transfer it to an airtight bottle. You can add some more date paste if you don't feel the sweetness. Don’t forget to give this recipe a try until the season lasts!! !